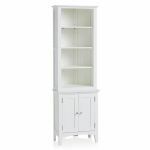 Our Shaker white corner display cabinet is an innovative storage piece for modern British homes. 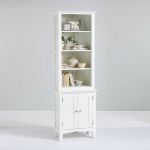 This white display cabinet is made from 100% solid hardwood with a smooth painted finish to create a clean and light look, with the styling completed with petite chrome hardware accents. 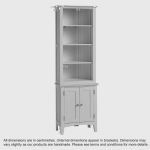 The simple and elegant design features a low cupboard space with a sturdy hardwood shelf, perfectly safely storing your belongings. Four upper shelves provide a beautiful display area for books, photos, and accessories. 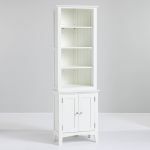 The white storage cabinet has all the design details that Shaker is known for, including an arched base, and delicate panelling. 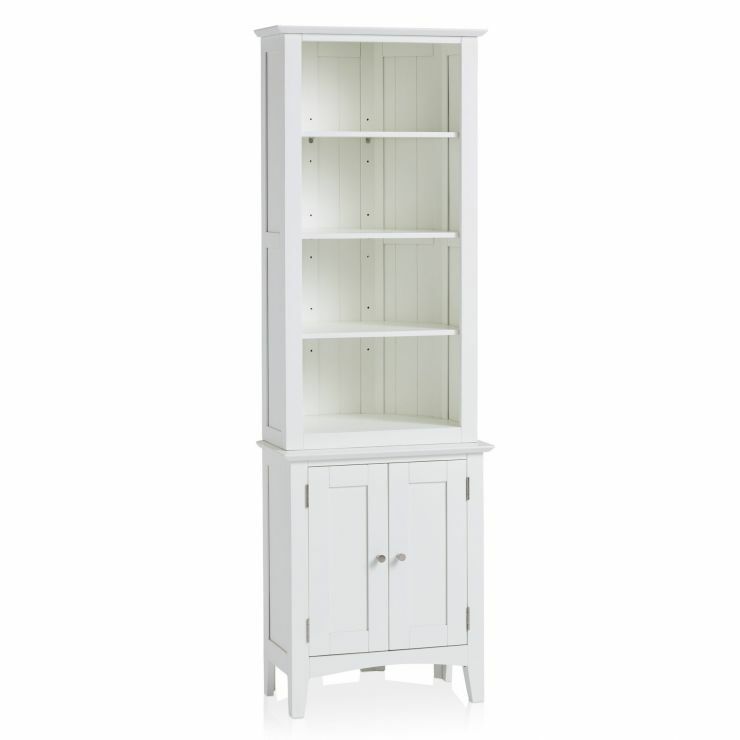 Browse the range to find more versatile storage pieces for any room in your home.